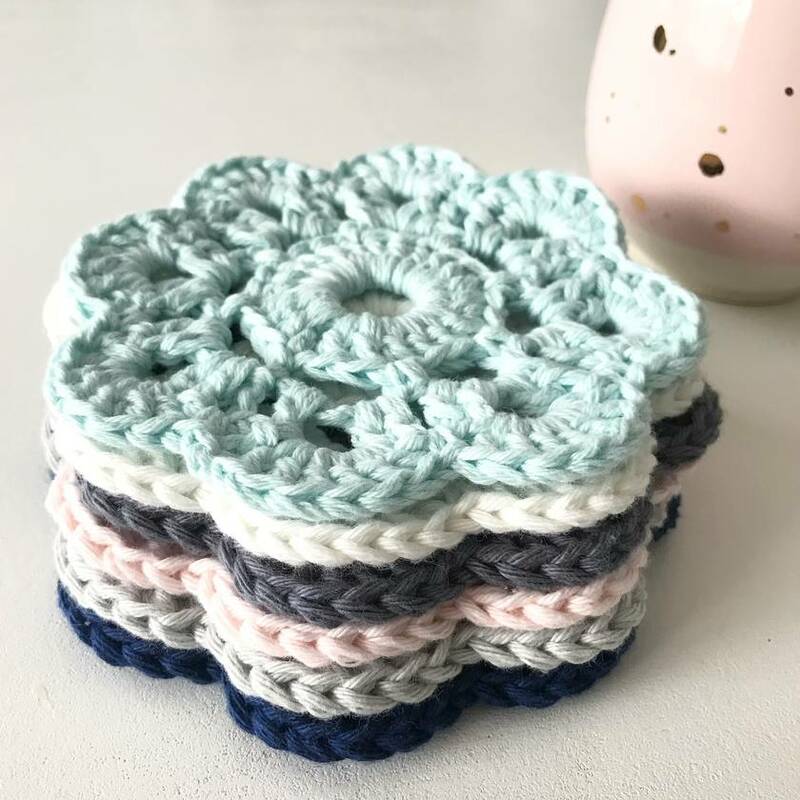 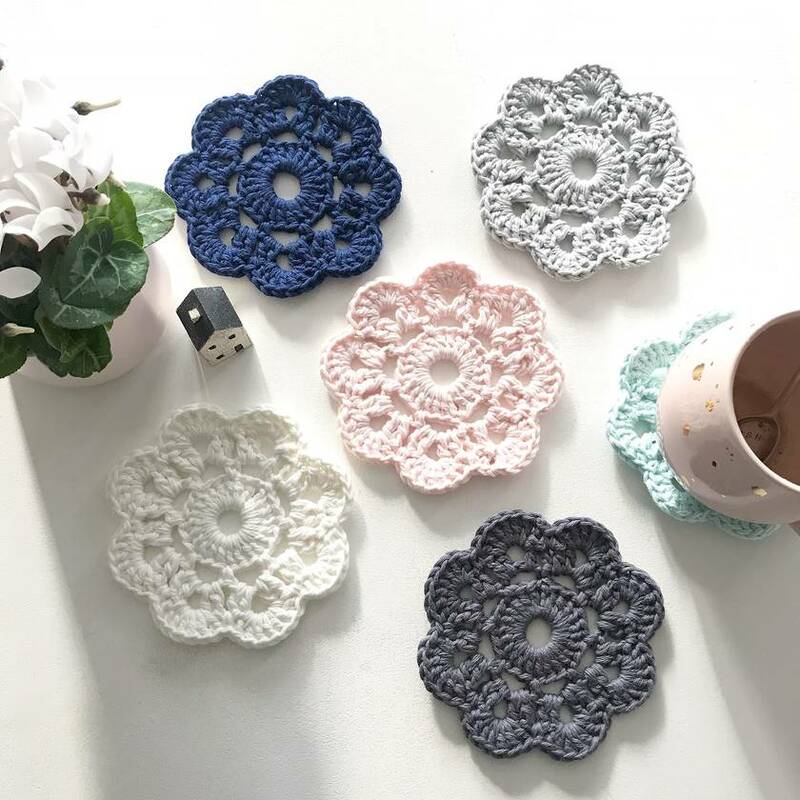 A beautiful set of 100% cotton ‘flower’ coasters in delicious soft shades of sea mist, midnight, ice white, silver, baby pink & slate. 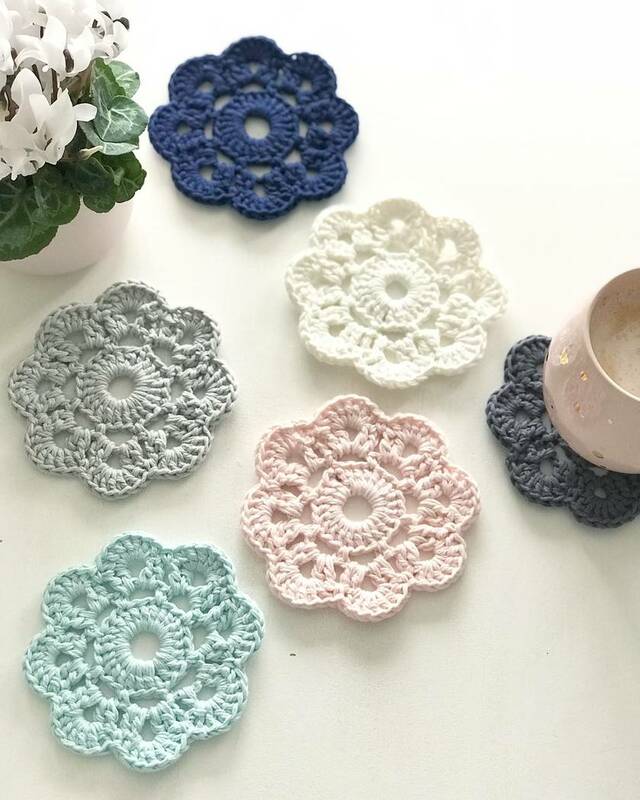 The gorgeous colours would look equally elegant in a modern Home, or give a homemade vibe to a vintage style Home. 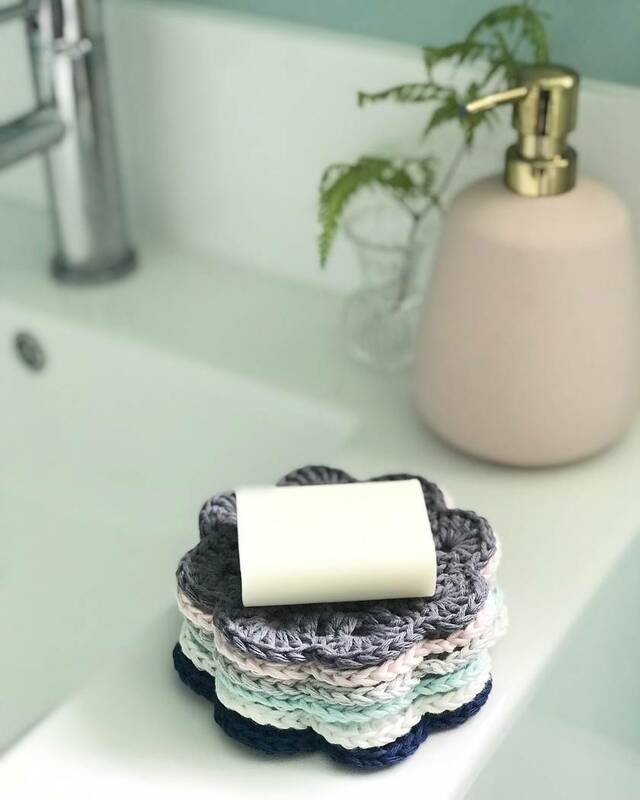 They also look pretty stacked up in the bathroom within easy reach to use as large makeup removers/face scrubbies....being 100% cotton and reusable, they’re eco-friendly and will bring a little luxury to an everyday task.